FAT…why would you even use that word? From our first breath, we are unique. I see it every day in my job as a baby nurse. Some infants are quiet and content, some are feisty and “talkative”. Some babies want to be held all the time, other babies need a break from the cuddling. I continue to be in awe of the unique personality traits that are evident from the first moments of life. From feet to fingerprints, we are individuals and one-of-a-kind miracles from the moment we arrive on this earth until the moment we take our last breath. In order to fully embrace our lives, we must understand, accept, and remind ourselves daily that we are unique…and that is how it supposed to be. You have been created with a unique set of gifts, talents, desires, and characteristics. When honed and mastered these skills will enrich your life and bless those who come in contact with you. So, open your heart and identify your strengths. Nurture them, refine them, use them, and relax in knowing you are exactly who you were meant to be and you are precious. In our world buzzing with social media it is easy to get lost and believe that only other people are having fun, enjoying life, and making dreams come true. That is a bunch of b.o.l.o.g.n.a! Don’t waste time wishing you were someone else, spend your time and energy becoming your best you! A healthy lifestyle means different things to different people. That makes sense being that we are all different! Acceptance of others and their beliefs is an important component of any healthy lifestyle. For me personally, my approach to eating is one of balance and moderation. I enjoy every food group and choose to focus on portions, monitoring my macro-nutrients (Carbohydrates, Proteins, and Fats), and overall caloric intake (Thanks My Fitness Pal!). This approach has developed over years of frustration with fad diets and yo-yo weight loss/gain prompting research and commitment to success. It works for me. Does that mean it is the plan, morsel for morsel, that you should immediately apply to your life? Nope. You need to discover your own style, your own methods, and a lifestyle that works with your big picture of life! It is unfair and unrealistic to think that just because a certain plan or approach works for one person that it will work for everyone. Flexibility and adaptability are important components in all of life, including the development and maintenance of a healthy lifestyle. That said, I still am passionate about sharing what I have learned over the years! Managing diet and nutrition can take up an inordinate amount of space in life and become an obsession. I got so tired of thinking about food all the time while trying to not eat! So I share, hoping to lighten your load and encourage you. If you truly desire to lose weight and eat healthfully, you can do it. It takes commitment and acceptance that habits will not change overnight, but you can do it. It takes support and willingness to be uncomfortable, but you can do it. It requires learning new things and applying that knowledge, but you can do it. You have to want it more than you want the instant gratification of a yummy morsel, but you can do it! So what is “Your Way”? What works for you? If you don’t have success stories, then what you do have is valuable experience. You have learned what doesn’t work for you and that is very helpful! When you fail (and we all do), realistically evaluate what happened and adjust the plan. Don’t keep trying the same thing and expect different results. This behavior modification is the difference between falling with a crash and burn vs. falling but building strength and momentum! We all run off the rails sometimes. A healthy lifestyle must include a recovery plan and realistic expectations. If you know that you love lattes, then don’t develop a plan that completely eliminates lattes or you are setting yourself up for failure! If you are used to eating 2500 calories per day, don’t restrict yourself to 1200 calories and expect that you won’t struggle with that…be realistic and work your way down. Don’t eliminate all bread if you love bread, just commit to lunch being a lettuce wrap instead of a sandwich…small changes grow into bigger ones! Modify and adapt changes in slowly and you are much more likely to enjoy success and create true and lasting change. An additional perk to a slow and steady approach is that you are not so irritable or frustrated! You will be able to sustain changes and even continue to tweak your choices. After a while you will look back and see the emptiness in trying to find satisfaction and contentment in cookie dough or a bucket of chicken. All calories count. Healthy food, junk food, vacation food, food no one sees you eat, every calorie in is faithfully either utilized or stored by your amazing body. Math is involved. If your caloric intake is less than your caloric output then you will lose weight. If your caloric intake is more than your caloric output you will gain weight. Friend, it is math, I’m sorry, but it is. If you honestly and consistently create a calorie deficit, you will lose weight. Balance is required. Our bodies function best from a combination of protein, carbohydrates, and healthy fats. If you want your body to perform for you, you must fuel it appropriately. This is about more than weight loss or gain, it is for your overall health and wellness. Our immune systems, emotions and coping mechanisms, mental processes, hormone cascades, and sleep cycles all depend on a balanced diet to function at optimum settings. Patience is required. Weight management is an ongoing goal. Our bodies are complex and our habits are hard-core. Be patient with yourself and take one day at a time…one choice at a time. Here is a simple exercise plan that doesn’t require any equipment and can be done in a small space, like a hotel room or dorm room. There really isn’t any reason to not get your sweat on…and the benefits physically, emotionally, and mentally are enormous. You know you want to give it a try…come on! Three days a week, pick two segments and repeat those for 25 min., then breathe and relax for 5 min. 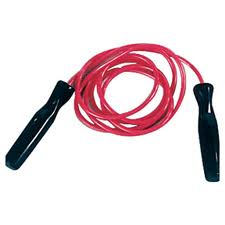 If you don’t have a jump rope, you can just go through the motions. Once you are ready to work harder, swith the marching to jogging in place. Jump shots: motion of picking up a basketball from the ground and jumping to make a basket. tricep lifts: bend forward at the waist with back straight, hold arms with triceps parrallel to the floor, bending at the elbow, move hands up and down while keeping upper arms close to your body and parrallel to floor. jumping twists: jump up and twist at the waist, land with toes facing right, then jump up and twist at the waist and land with toes facing left. Shoulder, knees, and toes: Remember the song, “head, shoulder, knees and toes, knees and toes”? Okay, maybe not, but you simply stand up straight and then touch your hands to your shoulders, bend and touch your knees and stretch to touch your toes, then stand up and start all over again. #1 Lower body focus: March x 3 minutes. **After your workout lie down on the floor and just breathe**. You deserve to rest and relax. Take 5 minutes of quiet to just rest and breathe. You have time and you are worth it, just rest and breathe. Got Negative Self-talk? Re-train Your Brain! Self-talk is ongoing in our minds almost 24/7. It is the voice we hear as we wake up and make plans for the day, visit with friends, parent our kids, call our moms, grocery shop, drive, work, and get ready for bed! You know that voice that no one else can hear, but you can’t help but hear. Becoming aware of that voice and taming it is crucial for mental and emotional health, therefore, a key component of a healthy lifestyle. Here are a few extreme words you may find in your self-talk: never, stupid, worst, always, perfect, terrible, and awful. These are just a handful for example. These types of words intensify our emotions and then our behaviors. I first learned about extreme thinking as I sat with my counselor years ago. She had me keep a log of my self-talk for a week and it was very eye-opening! As I shared with her from my week, her first comment was, “that’s pretty dark”. She was right; I had been beating myself up pretty badly and was embarrassed to admit what I routinely said to myself. That exercise opened my eyes to the powerful voice I was listening to… ME! I realized that whether it was speaking truthfully or promoting distortions…I believed it and it impacted my behaviors. Re-Train Your Brain Let me give you an example of self-talk gone bad. (The words in quotes are self-talk.) The scene is set by waking up to realize that you set your alarm for the wrong time “ugh, I’m so stupid”. Out of bed and out to get breakfast to find no milk in the house. The kids are having brownies for breakfast instead of cereal. “nice work super mom…not” So, you grab a couple brownies and get moving. Kids delivered barely on time and off to work. Work is busy and stressful, lunchtime comes and no lunchbox is found. “whatever, I deserve a burger today anyway” The work day moves on and late afternoon delivers Girl Scout cookies and vanilla lattes. Normally you would walk away but today you don’t. “I don’t even care today” After work you planned to go on a walk “today is ruined I may as well just skip it”, but you find yourself at home on the couch. Maybe you think that these words are no big deal, but it doesn’t take long and you begin to believe what you are saying to yourself. Often distortions or misperceptions, these negative words shape our behaviors. Re-trained Brain: The scene is set by waking up to realize that you set your alarm for the wrong time “ugh, bummer”. Out of bed and out to get breakfast to find no milk in the house. The kids are having brownies for breakfast instead of cereal. “need to grab milk today” So, you give each kiddo a banana, grab a protein bar and get moving. Kids delivered barely on time and off to work. Work is busy and stressful, lunchtime comes and no lunchbox is found. “Darla eats healthfully I’ll go to lunch with her.” The work day moves on and late afternoon delivers Girl Scout cookies and vanilla lattes. “It’s been a long day but a bunch of calories won’t help.” After work you planned to go on a walk “can’t wait to walk and de-stress tonight”. Once home, you take a walk to the corner convenience store for milk and then enjoy a show on TV while you make your lunch for tomorrow. Challenge the distortions This is not about Pollyanna flattery; it is about speaking truth to yourself. Are you really the “worst mom ever” because you forgot the milk? Doubtful. Now that I’ve brought your attention to self-talk, as you become aware of it, ask yourself if it is true. One of my favorite quotes of Dr. Phil is “you can’t fix what you don’t acknowledge.” Acknowledge that you just labeled yourself as a failure, now ask yourself is that true? Take a minute to think of a time you succeeded. (FYI: if you drive, have a job, manage a household…you’ve got successes!) This practice gains momentum as you practice and before long you realize you are feeling better about yourself. In hind sight I see that my counselor was the voice challenging my distortions until I learned to do it myself. I’m so thankful for her and the role she played in my recovery and healing! Hear me friends: you are valuable, you are capable, and you bring a unique set of gifts to this world. Remember, you can’t believe everything you say! Happy New Year! I’ve started a monthly newsletter for the gals I work with and I’ve decided to post it here too! 2014 is upon us and so it is time to get a plan and meet goals and make this the year you want it to be! A health lifestyle includes so much more than just weight management, but I know weight management is the hot topic right now, so that is the topic for today. I’ll be putting out more posts that go into more specifics related to the ideas presented in this newsletter, but I wanted to get some tips our there for you to start playing with. 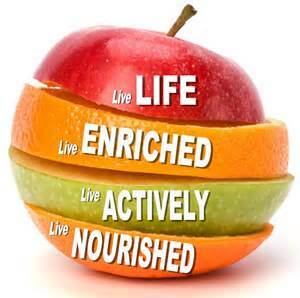 A healthy diet consists of balance and a combination of different types of nutrients. Advertised programs that eliminate a category of nutrients should be avoided; our bodies were created to function best with a variety of foods. Complex Carbs are carbohydrates that include starches or fiber. These types of foods are processed more slowly through your body facilitating nutrient absorption and steady blood sugar levels. Simple Carbs or carbohydrates that are comprised of natural and artificial sugars; they are an immediate source of energy broken down rapidly by our bodies. Strive to eat healthfully 80% of the time. This allows for special occasions and indulgences without feeling guilty or “bad”. Portion Control! Watch labels and know the serving size prior to indulging in a snack. Buy portion-sized packages on “high-risk” foods. You know what your high-risk foods are! I buy the “fun size” packs of peanut M&M’s to get my chocolate fix rather than having a bowl sit on the counter…that would not be helpful! Standardized Eating. Find a couple combinations that you enjoy for breakfast and lunch and just rotate through them. This reduces some of your decisions and makes it easier to keep pushing towards your goals. If you plan ahead of time what is for breakfast, you are more likely to eat a healthy breakfast instead of skip it or make a choice you’ll regret. Plan for success. Plan for your eating throughout the day. If you will be running errands all day then pack a couple healthy snacks in your purse so you won’t be tempted to make an impulse decision involving a drive thru that adds too many calories to your day. If you are working all day (night) plan for your eating to facilitate healthy choices even when you are tired or busy. Remember that all Calories Count You can eat all healthy food and still be overweight! The science behind weight management can’t be overlooked or re-written. The fact is that if your calories in are more than your calories burned each day you will gain weight, even if the excess calories are healthy choices. So, how do we come through a crisis stronger in the end instead of losing ourselves in self-pity and living as a victim? I believe that it is by staying real. So often when the big trials come, we start reacting from a place of fear. When we do that, we can get overwhelmed with worst-case scenarios and emotions and lose our grip on what the truth is and what is real. Even when “real” is devastating…trying to walk through it with your eyes focused on the facts instead of purely emotions enables you to grow and learn as you take one day at a time and travel through to better days. As I’ve walked through the trials I have faced I have changed so much, I’ve matured and developed coping skills! I am reaping the benefits of not be ruled by emotions. I am so much more stable emotionally then I used to be and it helps me in every area of my life! Walking through daily life things can come up that start to throw me for a loop and I can so much more readily discipline my thinking to look at the facts of the situation and not ramp myself up into panic and make it all worse! This growth has happened over a lot of time and a lot of challenges, it is process, not a switch, and I finally accept that. While our circumstances are sometimes (a lot of times) out of our control, our reactions are always in our control. Mental discipline is a huge part of a healthy lifestyle. Mental discipline enables us to hang in there and learn from life’s curve balls. Stick in there my friends, you will grow and learn and you will prevail if you just keep it real! This is not to say that emotions are bad or should not be experienced! Stuffing or ignoring emotions causes so many problems! I just want to encourage you to not get lost in them. Sometimes you need help navigating a crisis. I spent some time in one on one counseling and it helped me walk through that current crisis as well as gave me many tools for facing new ones. Just don’t give up, my friends, determine that you will not be beat down but strengthened! Create the life you want. 139. What is relevance of that number about you ask? Well, that is now the number of days left until you get to celebrate your New Year’s Resolutions being achieved! January 1, 2014 is the day to begin new resolutions that you haven’t made every year for the last 10, 20, 30 years! What are you waiting for? It’s the middle of the week: Wednesday, hump day, the beginning of the wind down to the weekend…however you think about it. Maybe it isn’t the most traditional day to begin something new, but it can be! By Monday you will be on a roll, not looking at getting started, that sounds great, right? I’m involved in an online Bible study right now and we are reading a book by Lysa TerKeurst called “What Happens When Women Say Yes To God?” Something that I read this week that struck me is that in order to get any product it takes a process. The process may be simple or complex dependent on the product. The process required to obtain a Latte (from growing the coffee beans, to the alarm clock of the server going off as planned, to the technical details of your preferred drink…) is different from the process required to obtain a college degree, but both require a process. The process required to go for a run is different from the process required to watch TV, but both require a process. As I let the truth of this soak into my mind, I thought about our journey to live a healthy lifestyle. Why am I so frequently surprised that it is a process and not like a light switch? Shouldn’t I get that by now? Why do I get frustrated when I continue to struggle against cravings and habits when I know in my head that a process is required? The surprise and frustration come from not fully comprehending the reality of the required process. The process may be impacted by our backgrounds, our families, or our daily lives, and when it comes to a healthy lifestyle, it is unique for each individual! For instance, it is not a complex process to plan out meals for a week that are healthy and balanced. There are many websites and magazines that suggest menus for whatever product you are trying to obtain. The planning is not so much the hard part of this process to comprehend. The difficulty comes when the truth of the process steps outside of our comfort zone or requires sacrifices we did not count on, or we discover we are opposed to accepting. The process of preparing healthy meals involves taking the time to shop for ingredients, preparing recipes we are not familiar with, adjusting our routine, all on top of sacrificing tastes and conveniences we are used to, and potentially serving new dishes to picky eaters. The obstacles to living a healthy lifestyle are abundant, so understanding the process and the benefits are crucial. The motivation to stick with the process and maintain changes long-term comes from knowing and believing that the product is worth the process. So, what is the product? The product I desire and my motivation to live a healthy lifestyle that involves, physical, mental, spiritual, and emotional health is a life that is balanced, a life where I feel good physically and eliminate as many visits to the doctor as I can, a life where I can work hard and play hard and have a ton of fun, a life where my heart is full of love and grace that will spill out onto those around me, a life that cultivates solid, lasting relationships, and a life that pleases God. The process is never-ending and requires constant maintenance, but it is worth it! What product are you striving for? What are your goals? Identify the process the best that you can and get started, knowing that there will be ups and downs and you will learn as you go, that is just the nature of a process. Start stepping forward towards your goals, accept that you will face obstacles, and enjoy the awesome feeling of accomplishment as you break them down and see your product coming into view! You can do it! I saw a status on Facebook the other day that mentioned Christmas shopping and I was amazed again at how quickly time passes! Before we know it we’ll be bringing in 2014! (148 days to be exact) As I was running this morning I was thinking about all of this and it occurred to me that it is the perfect time for a challenge! How about if this New Year’s Eve we celebrate achieving our resolutions? Think about what you were wanting to change as you toasted with your friends and watched the ball drop into 2013, do you remember? I bet you do. So, how are you doing at achieving your goal? The wonderful thing about re-evaluating now is that you still have time! Maybe new beginnings are fresh on my mind because I celebrated a birthday yesterday, but I think it is an excellent time to take inventory of how things are going in our lives. I want to focus on living intentionally and making sure I make decisions that result in celebrating and a sense of accomplishment when resolution time rolls around again. Don’t you? Maybe as you think about making it change it just seems overwhelming, maybe you don’t feel like you know where to begin. Well, I’m here to help you! Here are some tips I’ve learned over the years as I’ve been creating a healthy lifestyle that can be adapted to meet goals in other areas as well. 1. Start today. Yep, at 4 pm in the afternoon, start moving towards your goal. 2. Start with small, measurable goals. 3. Share your goal with a trusted friend. Verbalizing that you are taking a new direction will help you stay the course. Maybe they will even join you! 4. Understand why you want to achieve the change and keep it in front of you. Write it on your bathroom mirror, or in your planner, somewhere that you will see it on a regular basis and can be reminded when temptation to quit comes along. 5. Identify obstacles in your daily life that are stumbling blocks to achieving your goal. Planning ahead of time for success is critical. These are just a few hints to get your started. If you are a person that consistently allows life to toss you to and fro instead of deciding where you want to go, the time is now to create the life you really want! You can do it!